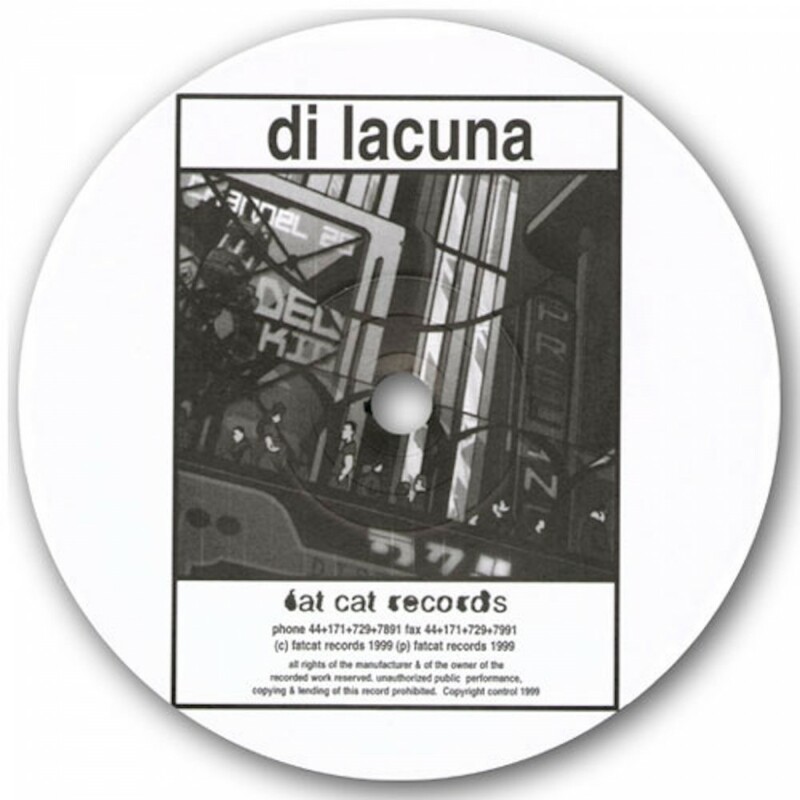 Di Lacuna were another new artist to FatCat (once again picked up via a demo they sent). A guitar-based three-piece from Sheffield, they had been playing together since early 1998, and their FatCat 12" (released October '99) represented the band's debut release. Four tracks showcased the Di Lacuna sound: a rippling, intricate weave of instruments (bass, guitars, drums) dominated by a classic, powerful dynamics. The group also contributed a track to the e-rmx series.